Alphaclean provides cleaning solutions for a variety of sectors including aviation, hospitals, hotels, institutions, government agencies plus many more customers in the region. 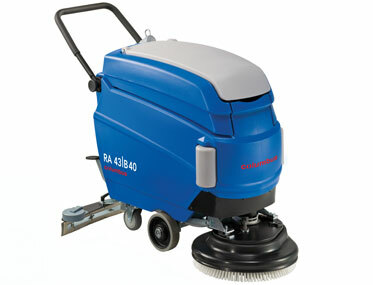 We stock a wide range of scrubbers that can clean almost all surfaces including concrete. Our scrubbers come in different models including walk behind and ride on. You can also choose either battery operated or electric. Our concrete scrubbers cleans scrubs and drys the surfaces leaving them spotless clean and ready for traffic. Unlike the traditional mop and bucket system, our scrubbers can clean large surfaces within a short time thus reducing the time spent on the cleaning exercise. The scrubbers have a rugged construction to ensure they last for a long time while still delivering the same great results. Alphaclean prides itself as the most experienced in providing cleaning solutions. We have professionally trained staffs that are ready to assist you in any queries that you may have. Our after sales service and warranty support is the most comprehensive in the industry. We also stock a wide variety of parts and accessories in case you need some parts to be replaced. With service centres in most cities, you can also rely on us for prompt service of your concrete scrubber in case it breakdown.